Originally from Western New York, Hannah Fisher finds herself in love with the Rocky Mountain ridge lines and big skies of Montana. After four years as Executive Director of The Clay Studio of Missoula, she moved on to devote more time to her own artistic pursuits. 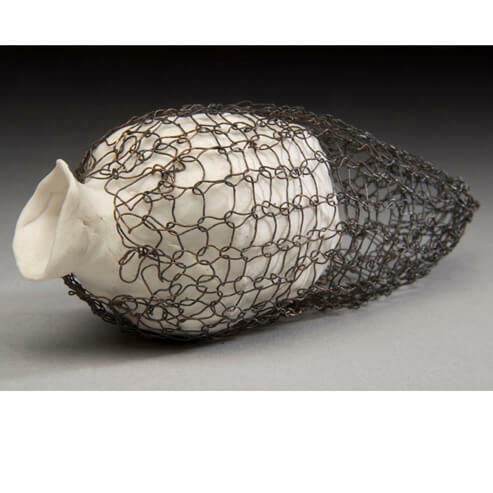 Her past residencies include The LH Project, The Clay Studio of Missoula, and Guldagergaard International Ceramic Research Center. Fisher received her BFA from the Oregon College of Art & Craft in Portland, OR. Fisher has exhibited around the country and her work is included in both public and private collections around the world.